Some of the best places to enjoy a drink also happen to be a little quieter, and perhaps a little harder to find. 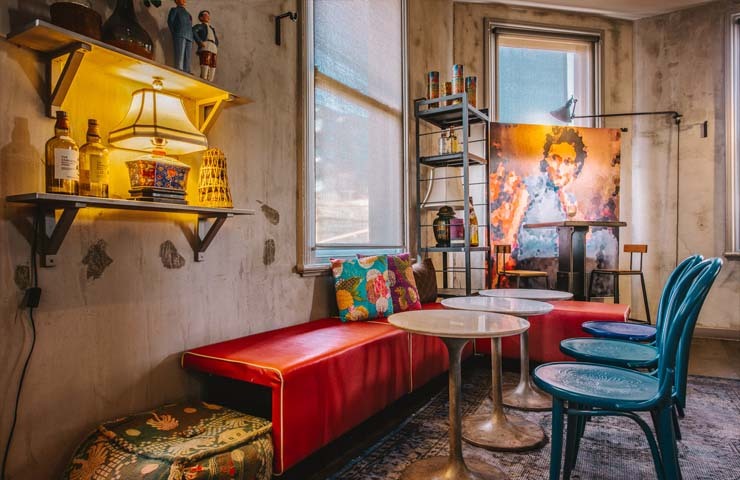 Just like any other good hole-in-the-wall, Zhou Zhou has a distinct personality, taking its inspiration from 1930s-style Shanghai drinking dens. 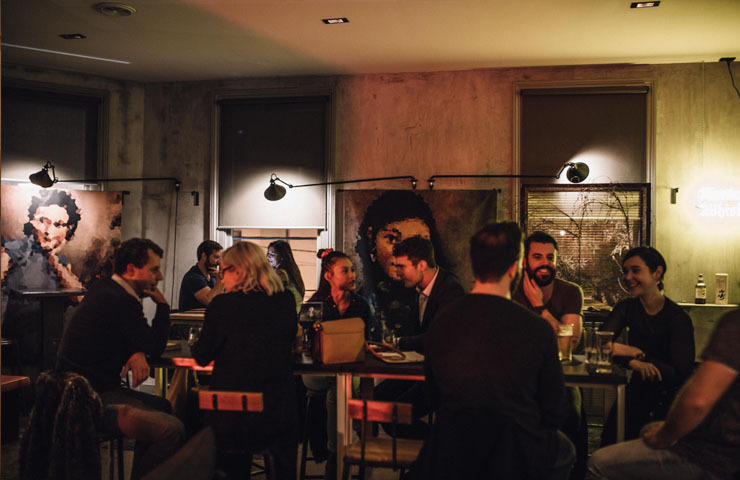 With over 50 Asian craft beers, an extensive Japanese spirits list and a menu full of delicious dumplings, this is a venue that can cater for any and all situations. Before you can reach Zhou Zhou, you have to pass through Oriental Teahouse, an authentic Chinese teahouse run by famed restaurateur David Zhou, who is also responsible for bringing Zhou Zhou to life. Just walk up the vintage steel staircase to what regulars call ‘The Den’, an intimate but spacious late night cocktail and drinks bar that stays open up until 1am. Polished concrete walls and wooden floors welcome you as you walk into what is a wonderful clash of modern and vintage styles, with steel-clad roof lamp fixtures emitting orange lights over antique blue and white porcelain plates and rustic teapots. On the wall, a yellow neon sign proudly displays the Suntory logo, a classic Japanese brewing company, showing just how much Zhou Zhou delights in its Asian drinking roots. 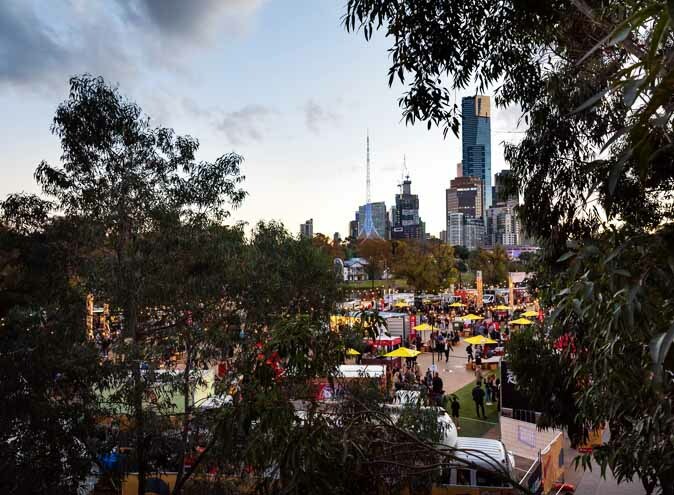 Since moving to Melbourne from Shanghai at age 29, David Zhou has changed the hospitality industry in Melbourne, beginning with a small tea shop in 1993 only to move on to bigger projects, such as founding and running the Melbourne institution David’s. With a background this rich in experience and culture, it doesn’t take much to see why Zhou Zhou is a bar with a difference. 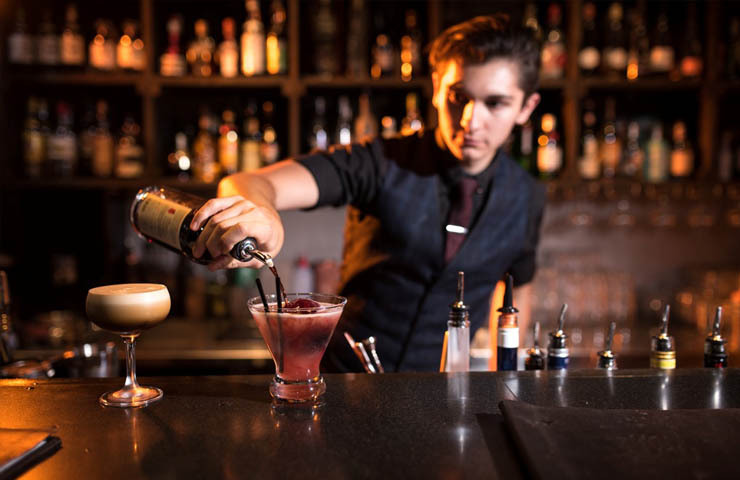 One of the biggest attractions for Zhou Zhou is that they boast the biggest whisky collection south of the Yarra, with plenty of classic Japanese brands such as Yamazaki, Hibiki and Nikka. If you can’t decide which to drink, Zhou Zhou also offers a range of whisky flights to cultivate your palate. Another huge attraction of Zhou Zhou is the eclectic and ambrosial selection of cocktails that evokes the senses with their invigorating tastes and scents. One of the flagship cocktails on offer, the ‘Mekong Hijinks’, has been on the menu since the beginning and is concocted with Bombay Sapphire, Lychee Liqueur, Lemon, Lemongrass and Fruitlab Hibiscus, completed with a floating raspberry ice sphere in the centre of the glass. A very sweet and delicious cocktail for that someone with a sweet tooth. Another flagship cocktail, the ‘Hello Vera’, is made up of Bombay Sapphire, Peach Schnapps, Aloe Vera, Mint, Lime and topped up with soda. A succulent drink that simultaneously feels hydrating. For those with a less sweet temperament, there is the ‘Samurai Sour’, consisting of Umeshu, Disaronno, Lemon and Egg White, or the ‘Night in Kyoto’, a bartender favourite, with Yamazaki, Amaro Montenegro, Maidenii, Agave and Bitters – the latter of which is considered the best cocktail on Chapel St by many of the locals. A huge range of Asian craft beer is available, with over 50 different bottled craft brands. 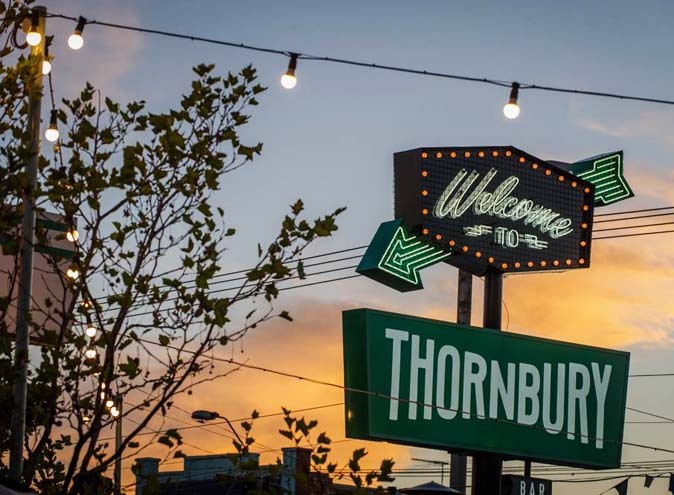 It’s safe to say that Zhou Zhou has the largest range of Asian inspired beer in South Yarra and possibly Melbourne. There are plenty of beers on a rotating tap as well, including a Jasmine IPA and an upcoming Earl Grey IPA which is the bar staff’s current favourite. Six different sakes can be ordered, from the light and floral blend of a Dewazakura sake to an earthier mushroom and nuts flavoured blend of a Tangumai. 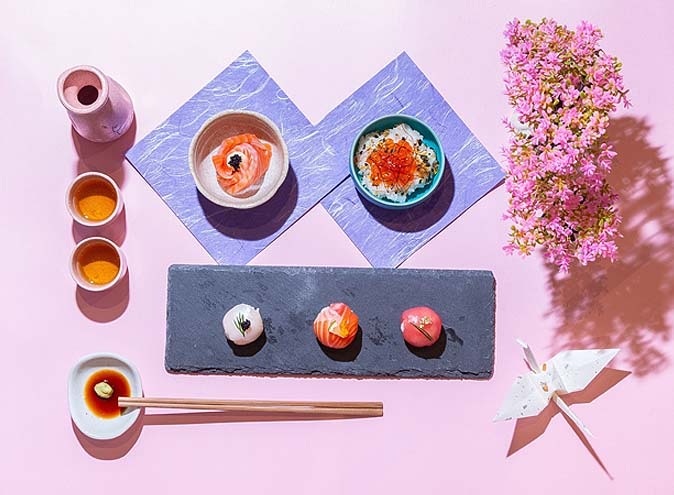 If you’re feeling particularly cultural, you could also give one of their Umeshu drinks a try – the drink being a special Japanese liqueur made by steeping ume fruits and sugar. All good things come in pairs, and pairing with the drinks available at Zhou Zhou is the food, which is prepared downstairs at Oriental Teahouse. You could give the ‘Flame Thrower Pulled Pork Dumplings’ a shot, or the ‘Sweet Shredded Steak’, which comes in a sweet chilli sauce with sesame seeds and string beans. It’s a go-to dish for the staff. However, an incredibly unique dumpling dessert menu is perhaps the most pleasantly surprising element here. The signature ‘White Chocolate Dumplings’ that are steamed and topped with coconut and peanut praline are to die for, as they just melt flavour into every corner of your mouth and afterwards all you want is another bite. It’s important to note that the menu is has plenty of vegan options so there’s a lot of choice to cater for everyone’s dietary requirements. As a general rule, Zhou Zhou doesn’t take itself too seriously, but makes sure it shows its passion through its drinks, food and welcoming staff. 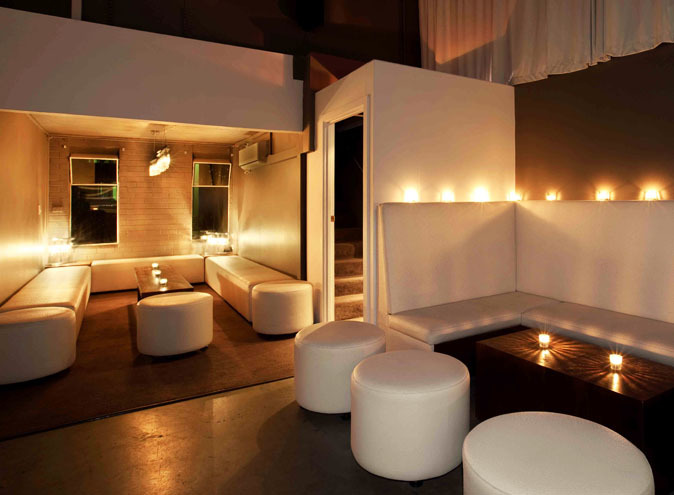 The general atmosphere is relaxed but sharp, suitable for either that easy-going date or a more formal client liaison. The in-house tunes consist mostly of low-key R&B, with a playlist containing musical favourites such as Anderson Paak and Busta Rhymes. Zhou Zhou also hosts live music on occasion, so keep an ear out. A popular time to come in is during the 7-9 dinner rush, particularly on a Friday (so make sure you book a table! 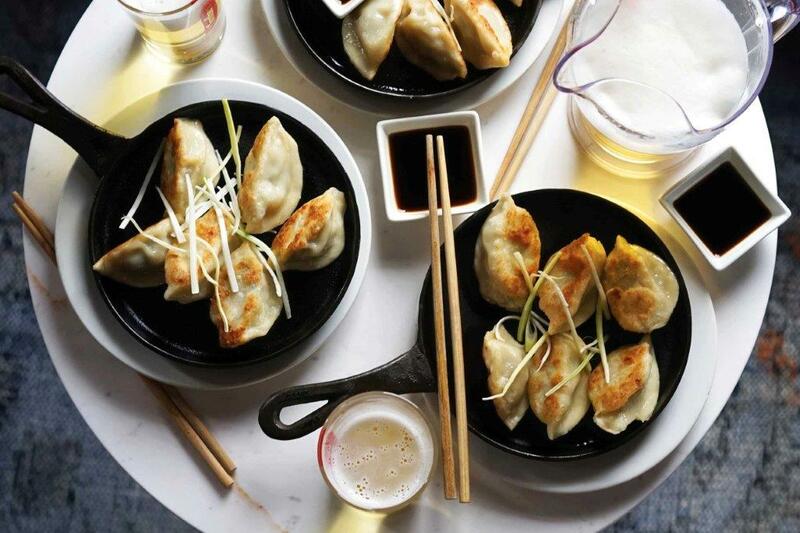 ), but if you’re after some cheap eats, make sure to come in on a Wednesday for some $1 pan-friend dumplings. Zhou Zhou’s can also host functions with two separate rooms for hire. 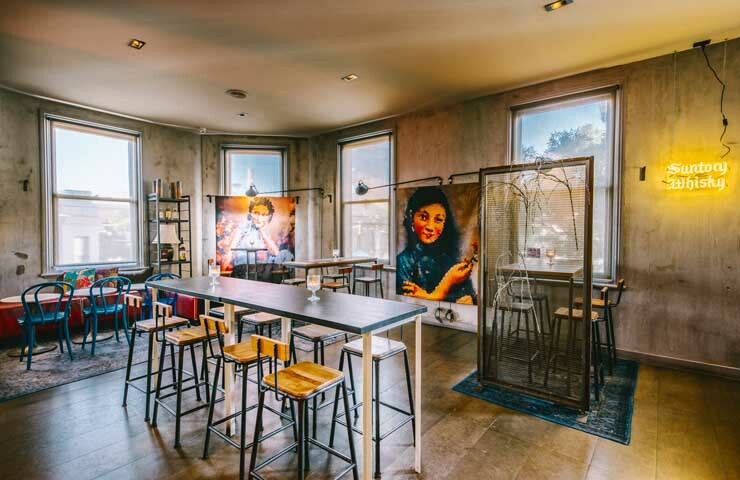 The ‘Soul Room’ is Zhou Zhou’s private lounge, that allows for a more intimate event that can cater to both sit down dinners or stand-up parties of 15-40 guests. 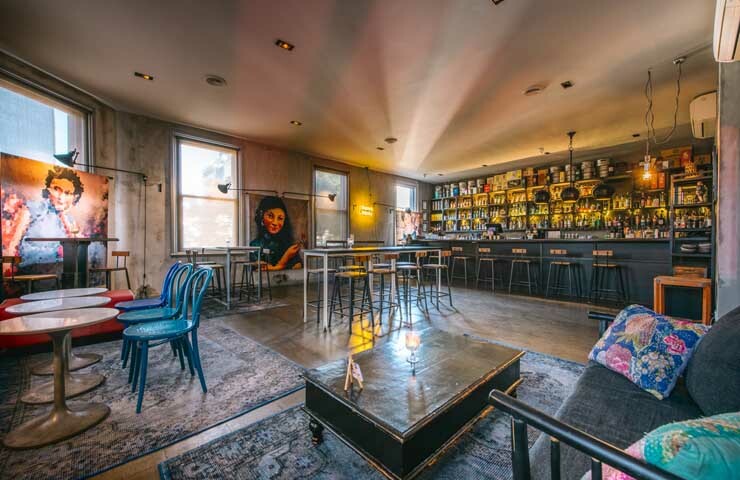 Conversely, ‘The Den’ contains the main bar which overlooks Chapel St and is capable of larger events, also coupling as a conversation piece with the extensive whisky menu being on display on the shelves. 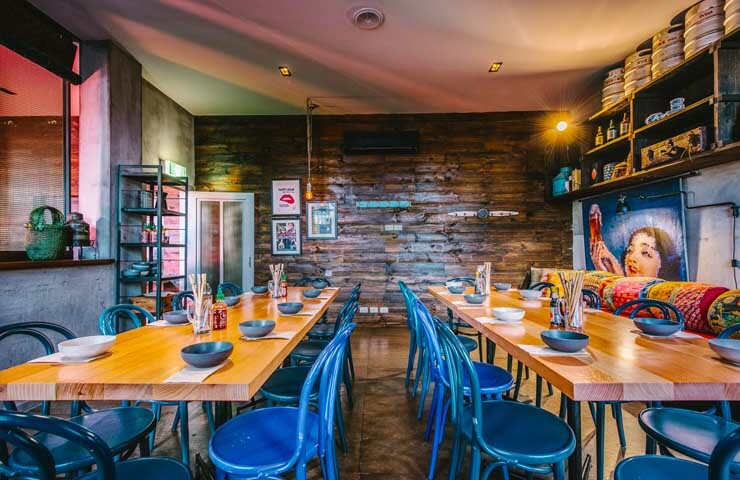 There are no room hire fees at Zhou Zhou, just minimum spends which can be a combination of any food and drink on the menu – sounds like a deal to us! All-in-all, Zhou Zhou’s might just become your new favourite after-work haunt to have a drink and some good conversation, perhaps as you dine on some fresh dumplings. Or maybe it’s just time you got some Asian cuisine in your life! Either way, Zhou Zhou has something for everyone. And dare we say, it’s delicious. All images provided by Zhou Zhou.